June is coming to an end and July is almost here which means I am going to be reunited with Sam in less than 40 days!! It also means that school's going to start very soon and that I don't have very much time of my summer holidays left. I finally found the source of my addition to anything that smells like a bed of Roses. My mother. 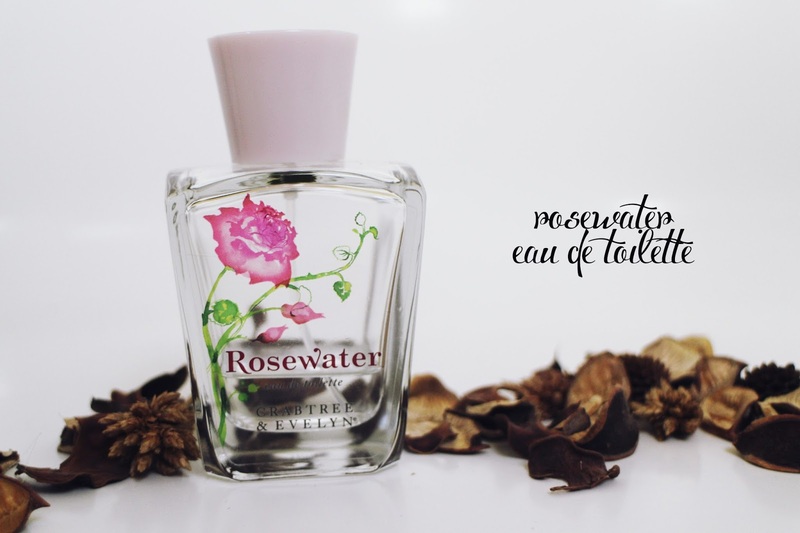 Yes, a couple of weeks a go I found out that one of her go-to perfumes is the Crabtree & Evelyn Rosewater Eau De Toilette and ever since, I've been stealing a couple sprits every morning before heading out and I absolutely love it! The scent is incredibly fresh, light weight and definitely not musky at all. It's perfect for all seasons I feel, and I might just need to get a bottle of my own for when I return back to Singapore. I really don't know how else to describe it but if you'd owned any of Crabtree & Evelyn Rose hand creams it smells pretty much the same. I feel like I need more items from the Rosewater line... it smells absolutely heavenly. 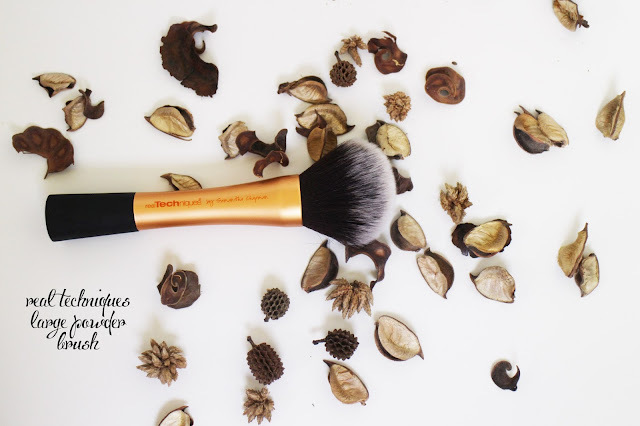 The real technique brushes have been raved about my numerous beauty bloggers and why shouldn't it be? The bristles are extremely soft and the hairs don't shed upon the cleaning process. I got this as a gift from a friend and have been using this to set my Jurlique translucent powder which you can see the review here. I feel that the size of the brush and the density of the bristles allows everything to be evenly spread out, leaving no streaks or patches. It's incredibly soft that I find myself over powdering at times! There are other brushes from the real techinques line that you might like to check out as well, I feel that one should really invest in a good brush because its something us girls use almost 3-5 times a week. The definition of summer to me is being out at the beach with a good read whilst soaking up some sun. I have yet to get very many chances to do so but in the two times that I have, I've used this particular spray on sunscreen and have realized that I don't tan as quickly. 2hrs and 30 mins under the sun and no drastic change in skintone? that says something. 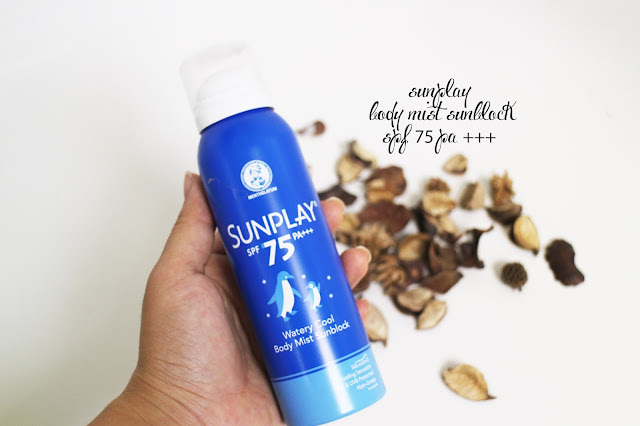 This goes to show that it really does protect your skin really well and for those of you who don't want a drastic change in skin colour while being out in the sun, perhaps this is the perfect sunscreen for you! The idea of a cream sunscreen doesn't quite work well for me, because by the time I get to the beach, I am already sweating and the cream doesn't go on as well. With a spray I feel that the sunscreen is distributed a little more evenly, the sunscreen is also absorbed a lot faster. The plus side to this sunscreen is that it also has a cooling effect that isn't menthol at all. I've also accidentally sprayed the product into my eyes and it doesn't make me tear drastically. It also comes with a very rather manly cologne scent to it that is very fresh. Stockist: I believe its HK$144 at watsons and HK$88 at lungshing. I try to keep my makeup incredibly simple throughout the day and seeing that I've forgotten to pack a baby pink lip product with me on this trip, this has taken the place of my "neutral" shade on a day to day basis. I'm in love with the surf babe look with minimal makeup and this creates the perfect kissable lip colour. There are a couple downsides to the product being that there's this weird tingly feeling upon application and that the colour probably lasts for about 4 hours tops. In my experience, the benefit tints don't have the best lasting power as compared to other products that I've tried out but the colour is definitely the reason I've been using it numerous times this month. The reason why its made it into my favourites is because the packaging makes it very convenient to take while out and about to use on the cheeks, which I find lasts longer as well as on the lips. 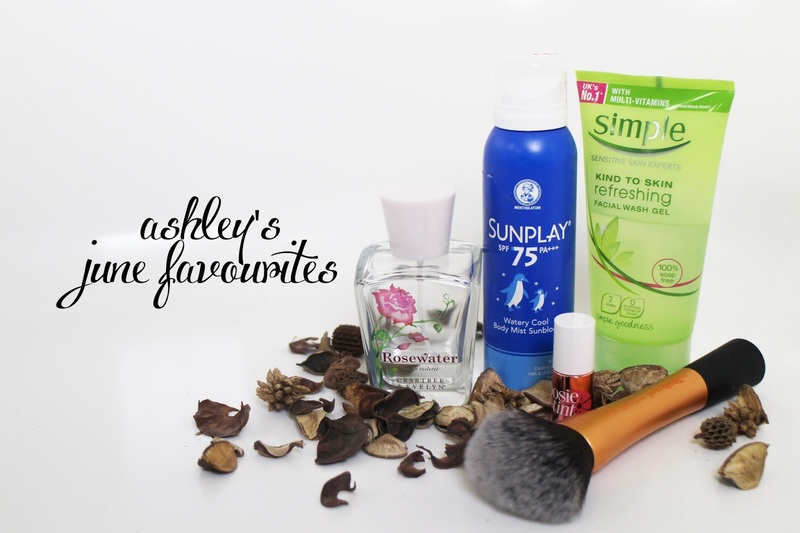 I've stripped a lot of products from my skincare routine to keep it to the bare essentials. This includes finding a cleanser in the most simplest form, and where better to look than at the Simple line that you can find at drugstores? This Facial wash lathers up relatively well, removes all the oil and dirt that I've had on my skin for the entire day. My skin doesn't feel taut or itchy after but slightly moisturised. 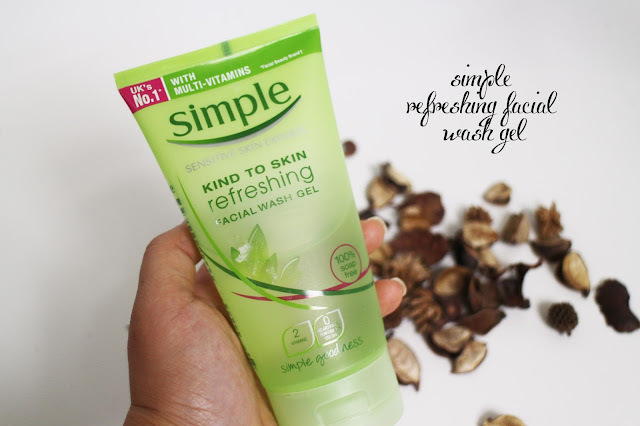 I love that Simple wash gel! I think it's an amazing product. Yeah, It really is one of the most standard and staple cleansers that gets the job done! :) I love it! No problem my dear <3 ! Glad you like it as much as I do!